Here’s a rather rare sighting for the west coast of Sabah. 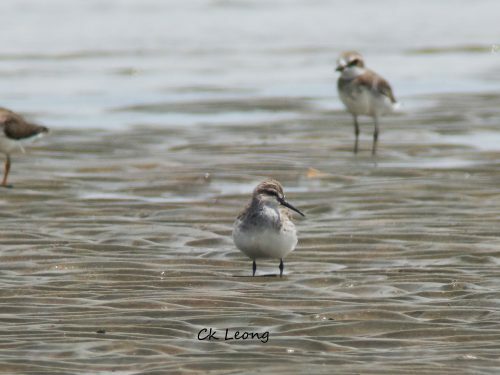 The Broad-billed Sandpiper Limicola falcinellus is comparatively easier to find along the eastern coastline of Borneo, probably on its way to northern Australia and Indonesian islands. 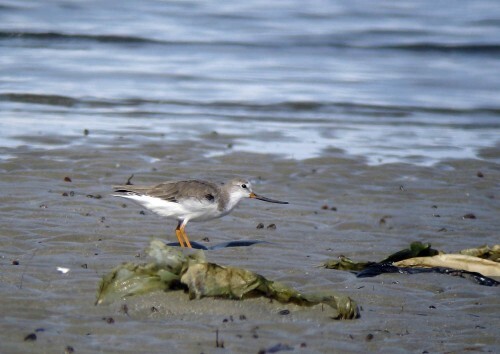 Easily distinguished by its double supercilium and downwards curve at the end of its bill. Good luck guys. 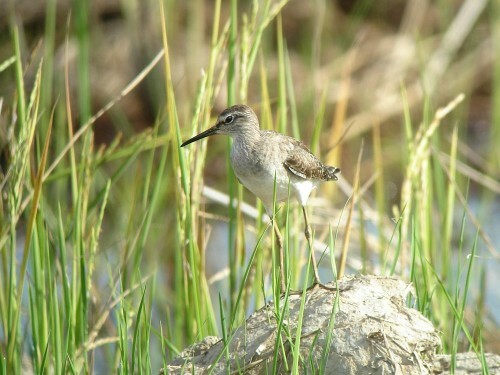 The Wood Sandpiper is a very elegant Tringa and easily the commonest wader during the winter migration here. 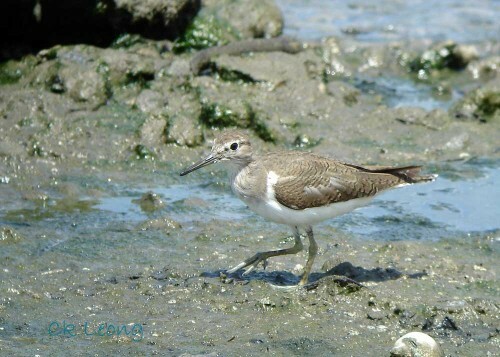 It frequents our padi fields and wetlands, feeding alone or in small groups. It is usually the first to arrive (late July) and last to leave (April). I figure this bird spends more time here than at its breeding grounds in northern Asia. This palaeartic winters in Africa and South Asia but once in a while, we get a straggler (two, in this sighting) in Borneo. 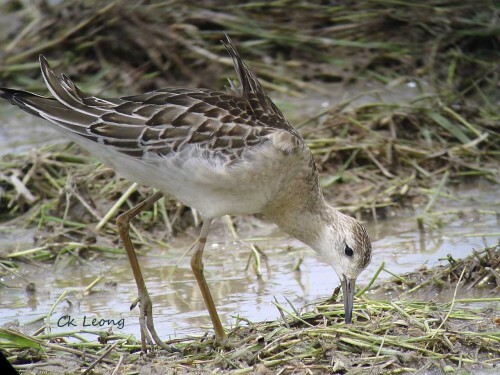 I have never seen a Ruff in breeding plumage. Still, you get what you can. I consider myself lucky to get this photo of a male feeding, its back feathers raised. It was moving around in a wet paddy and I assume it is partial to rice and seeds of various grass. 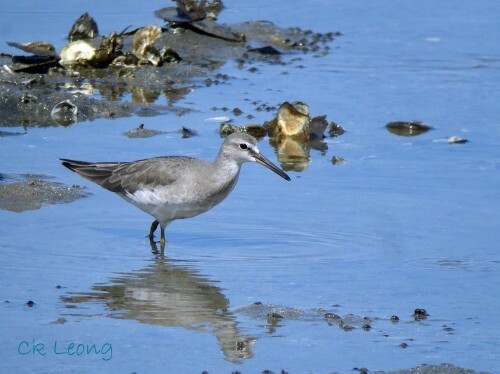 A few more of the visitors seen daily along the Kota Kinabalu seashore.